On the eve of Pinktober, this sentence struck me hard because I’ve had a similar experience with breast cancer. The world likes a breast cancer survivor with good-as-new breasts, but that is not my story. I chose not to reconstruct because I didn’t want to sacrifice a back muscle to create what the plastic surgeon referred to as “a breast-shaped mound.” Now, seven years later, I’m not arguing against reconstruction. I believe women need to be fully empowered to make any and all choices about their bodies. But a fully informed choice is predicated on having all the options. A lot of women take comfort in the happy pink story “no matter your thoughts.” But I can’t help but wonder how many women don’t yearn for a story with an alternative ending. 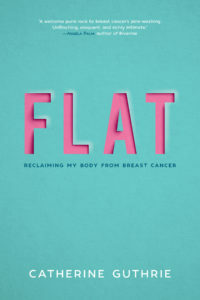 In the weeks after my breast cancer diagnosis, I saw four surgeons and not a one mentioned going flat was an option for me. Going flat isn’t every woman’s choice but it needs to be on the menu. 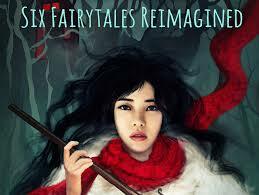 Like fairytales reimagined with strong girls who don’t need to be saved by a prince, I’m hoping my story about a breast cancer survivor who didn’t need to re-create her breasts to feel whole again, to feel like a woman again, will be a refreshing update to a stale ending.